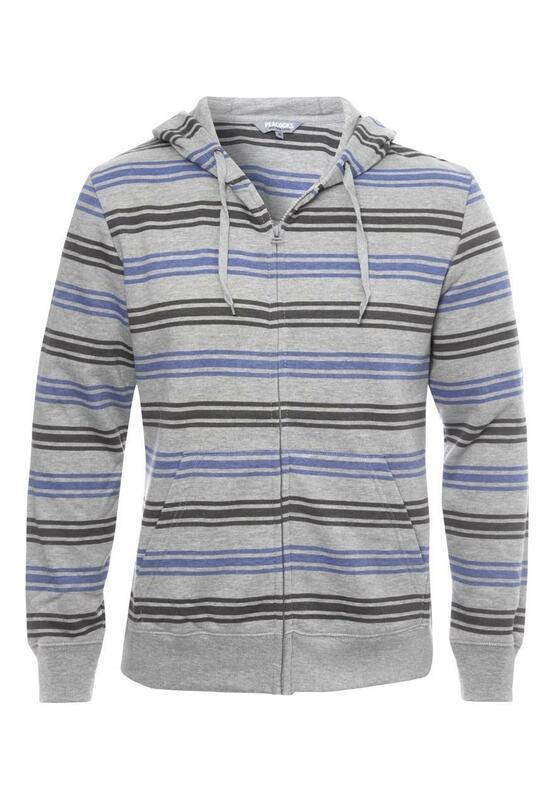 Add layers this season with this striped zip up hoody. 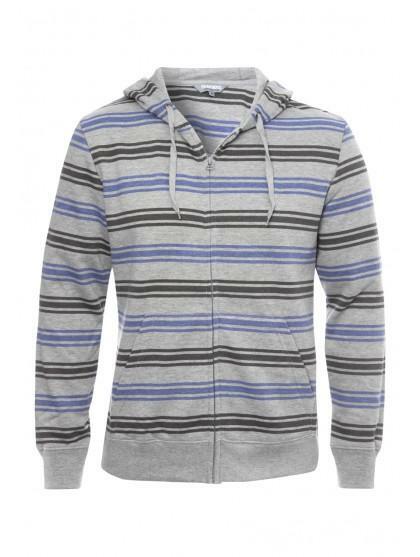 Ideal for wearing as a thin jacket on sunny days or on evenings as the nights get chilly. Featuring a hood, zip up front and side pockets.